We will read about how vitamins are essentially required. And today will discuss about Vitamin B12. Vitamin B12 is an essential nutrient that your body can’t make on its own, so you need to get it from your diet or supplements. Vegetarians, pregnant or breastfeeding women, and others at high risk of deficiency may want to track their diets closely to make sure they’re getting enough. This blog article will help you to list 10 foods rich in vitamin B12 to add to your shopping list. This water-soluble vitamin has many essential functions in your body. It’s necessary for keeping your nerves healthy and supporting the production of DNA and red blood cells, as well as maintaining normal brain function. The recommended daily intake (RDI) is about 2.4 mcg but it is slightly higher for pregnant and breastfeeding women. Vitamin B12 is absorbed in the stomach with the help of a protein called intrinsic factor. This substance binds to the vitamin B12 molecule and facilitates its absorption into your blood and cells. Your body stores excess vitamin B12 in the liver, so if you consume more than the RDI, your body will save it for future use. You may develop a vitamin B12 deficiency if your body does not produce enough intrinsic factor, or if you don’t eat enough vitamin-B12-rich foods. Vitamin B12 is mainly found in animal products, especially meat and dairy products. Luckily for those on vegans diets, fortified foods can be good sources of this vitamin too . Below are 10 healthy foods that are very high in vitamin B12. Organ meats are some of the most nutritious foods out there. Liver and kidneys, especially from lamb, are rich in vitamin B12. A 3.5-ounce (100-gram) serving of lamb liver provides an incredible 1,500% of the RDI for vitamin B12. While lamb liver is higher in vitamin B12 than beef or veal liver, the latter two contain about 990% of the RDI per 3.5 ounces (100 grams). Lamb liver is also very high in copper, selenium and vitamins A and B2. Lamb, veal and beef kidneys are also high in vitamin B12, providing about 1,300% of the RDI per 3.5-ounce (100-gram) serving. They also provide more than 100% of the RDI for vitamin B2 and selenium. Eggs are a great source of complete protein and B vitamins, especially B2 and B12. Two large eggs (100 grams) supply about 22% of the RDI for vitamin B12, plus 28% of the RDI for vitamin B2. Research has shown that egg yolks have higher levels of vitamin B12 than egg whites, as well as that the vitamin B12 in egg yolks is easier to absorb. Therefore, it’s recommended to eat whole eggs instead of just whites. In addition to getting a good dose of vitamin B12, you’ll get a healthy amount of vitamin D. Eggs are one of the few foods that naturally contain it, with 9% of the RDI in two large eggs. This source of vitamin B12 may work well for vegetarians and vegans, as it’s synthetically made and not derived from animal sources. Although not commonly recommended as part of a healthy diet, fortified cereals can be a good source of B vitamins, especially B12. Food fortification is the process of adding nutrients that are not originally in the food. For instance, Malt-O-Meal High Fiber Bran Flakes offer up to 137% of the RDI for vitamin B12 in 3/4 cup (29 grams). The same serving of this cereal also packs 140% of the RDI for vitamin B6 and good amounts of vitamins A, C and E. Research shows that eating fortified cereals daily helps increase vitamin B12 concentrations. 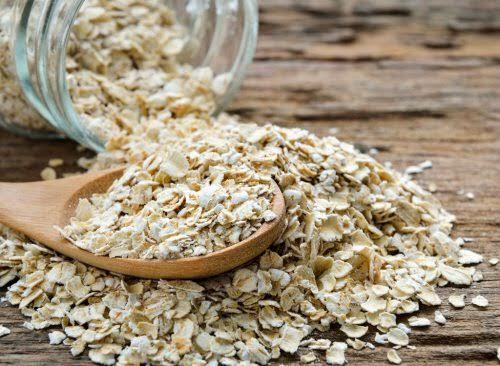 In fact, one study showed that when participants ate one cup (240 ml) of fortified cereal containing 4.8 mcg of vitamin B12 daily for 14 weeks, their vitamin B12 levels increased significantly. If you choose to use fortified cereal to increase your vitamin B12 intake, make sure to choose a brand low in added sugar and high in fiber or whole grains. Tuna is a commonly consumed fish and great source of nutrients, including protein, vitamins and minerals. Tuna contains high concentrations of vitamin B12, especially in the muscles right beneath the skin, known as dark muscles. A 3.5-ounce (100-gram) serving of fresh tuna contains almost 160% of the RDI for the vitamin. This same serving size also packs a good amount of lean protein, phosphorus, selenium and vitamins A and B3. Canned tuna also contains a decent amount of vitamin B12. In fact, one can (165 grams) of light tuna packed in water contains 85% of the RDI. Rainbow trout is considered to be one of the healthiest fish there is. This freshwater species is a great source of protein, healthy fats and B vitamins. A 3.5-ounce (100-gram) serving of trout fillet offers about 125% of the RDI for vitamin B12 and more than 1,300 mg of omega-3 fatty acids. The RDI for the omega-3 fatty acids eicosapentaenoic acid (EPA) and docosahexaenoic acid (DHA) combined is 250–500 mg. Trout is also a great source of minerals such as manganese, phosphorus and selenium. Nondairy milk is popular among those who want a nutritious vegan replacement for dairy milk. While soy, almond and rice milks are not naturally high in vitamin B12, they are usually fortified, making them an excellent source of this vitamin. One example is soy milk, which can provide up to 45% of the RDI for vitamin B12 in one cup (240 ml). For this reason, fortified nondairy milks could be a great option for those wanting to increase their vitamin B12 intake and avoid deficiency. Similarly to the vitamin B12 in other fortified sources, the vitamin B12 in nondairy milk is synthetically made, so it’s vegan-friendly. Milk and dairy products like yogurt and cheese are great sources of protein and several vitamins and minerals, including vitamin B12. One cup (240 ml) of whole milk supplies 18% of the RDI for vitamin B12. Among all kinds of cheeses, Swiss cheese has been shown to have the highest vitamin B12 content. One ounce (30 grams) of Swiss cheese can contain about 16% of the RDI. Full-fat plain yogurt can also be a decent source. It has even been shown to help improve vitamin B12 status in people who are deficient in the vitamin. Interestingly, studies have shown that the body absorbs the vitamin B12 in milk and dairy products better than the vitamin B12 in beef, fish or eggs. For example, a study in over 5,000 people showed that dairy was more effective than fish at increasing vitamin B12 levels. Should You Take Vitamin B12 Supplements? Vitamin B12 supplements are recommended for people who are at risk of vitamin B12 deficiency. Those include older adults, pregnant or breastfeeding women, vegetarians and vegans, individuals with intestinal problems and those who have had stomach surgery. As with the vitamin B12 in fortified sources, the vitamin B12 in supplements is synthetically made, so it’s vegan-friendly. Vitamin B12 supplements can be found in many forms. You can swallow, chew, drink or inject them, or place them under your tongue. Research has shown that vitamin B12 taken by mouth and muscular injection are equally effective at restoring vitamin B12 levels in people who are deficient in the vitamin. In fact, a study found that people with low levels of vitamin B12 replenished their stores after 90 days of either supplements or injections of vitamin B12. However, not all vitamin B12 deficiency is caused by inadequate dietary intake. It is sometimes caused by lack of intrinsic factor, a protein that is necessary for the efficient absorption of vitamin B12. Lack of intrinsic factor is most common in older people and is usually associated with an autoimmune disease known as pernicious anemia. The most common treatment for pernicious anemia is lifelong vitamin B12 injections. But small amounts of vitamin B12 are absorbed without intrinsic factor. One review concluded that taking 1,000 μg daily is an effective alternative to injections.